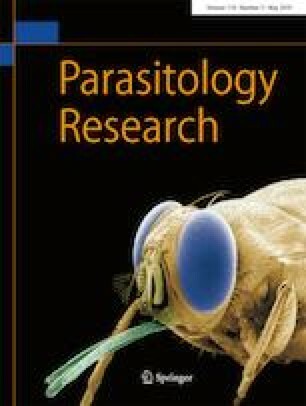 We describe the type species of a novel genus of microsporidian parasite, Pseudokabatana alburnus n. gen. n. sp., infecting the liver of topmouth culter, Culter alburnus Basilewsky, 1855, from Lake Poyang off Xingzi county, Jiangxi Province, China. The parasite elicits formation of spherical xenomas of up to 1.2 mm in diameter containing all observed life stages from early merogonal plasmodia to mature spores contained within the cytoplasm of host hepatocytes. Merogonal plasmodia existed in direct contact with the host cytoplasm and contained up to 20 visible nuclei. Plasmotomy of the multinucleate plasmodium led to formation of uninucleate cells in which the nucleus underwent further division to form bi-nucleate presporonts, sporonts (defined by cells with a thickened endospore) and eventually sporoblasts (containing pre-cursors of the spore extrusion apparatus). Mature spores were pyriform and monokaryotic, measuring 2.3 ± 0.19 μm long and 1.3 ± 0.10 μm wide. Spores possessed a bipartite polaroplast and 5–6 coils of a polar filament, in a single rank. The obtained partial SSU rRNA gene sequence, 1383 bp in length, did not match any of microsporidia available in GenBank. SSU rDNA-based phylogenetic analysis indicated a new taxon branching with Kabatana rondoni, a parasite infecting the skeletal muscle of Gymnorhamphichthys rondoni from the Amazon River. Due to different host and tissue tropism, the novel taxon did not fit the diagnostic criteria for the genus Kabatana. Further, based on SSU rDNA-inferred phylogenetic analyses, different ultrastructural features of developmental stages, and ecological considerations, a new genus Pseudokabatana and type species Pseudokabatana alburnus n. sp. was erected for the parasite in topmouth culter. The authors are much indebted to Yuliya Y. Sokolova (Department of Comparative Biological Sciences, School of Veterinary Medicine, Louisiana State University, Baton Rouge LA, USA and Institute of Cytology, Russian Academy of Sciences, Russia) and Tokarev YS and Issi IV (All-Russian Institute of Plant Protection, Russian Academy of Agriculture Sciences, Russia) for their help to discern the ultrastructural characters. The study was financially supported by Natural Science Foundation of China (31772411) and Free-Orientation project of Institute of Hydrobiology, Chinese Academy of Sciences. GDS was supported by the UK department for Environment, Food and Rural Affairs (Defra) under contract FB002.